Remodeled in 2016! Top Floor at Beach Cove Resort! Our condo is located on the beach and is steps from the beach at North Myrtle Beach. Enjoy beautiful beaches and heated pools all year round. Great location that is centrally located in the southern most portion of North Myrtle Beach, (center of myrtle beach area). 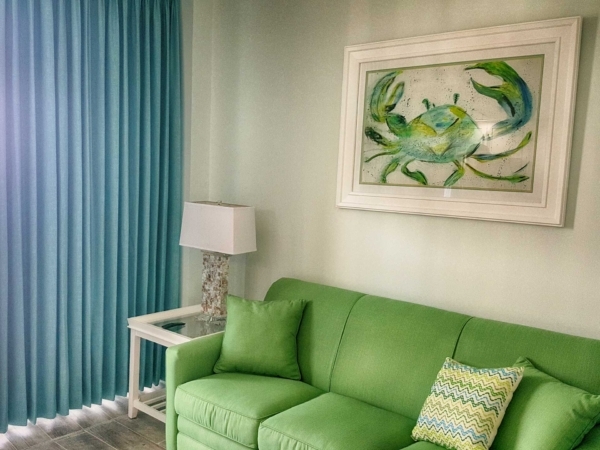 We have made this condo comfortable with all the extras you would expect in a beachfront condo. 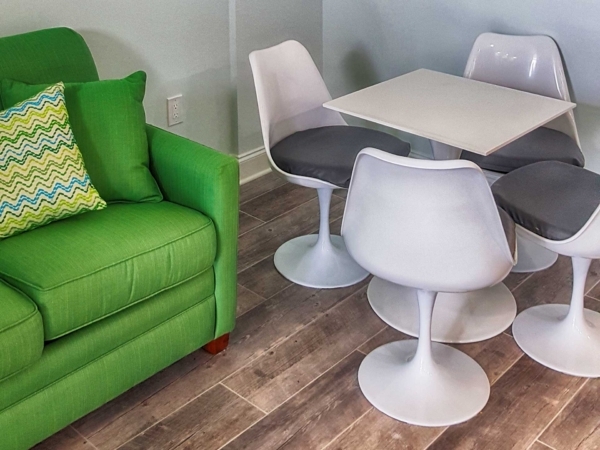 This is a 1 Bedroom, 1 Bathroom – Sleeps 6 Condo that has 2 beds in the main bedroom and a couch that folds out into a bed to sleep additional people in the living area. 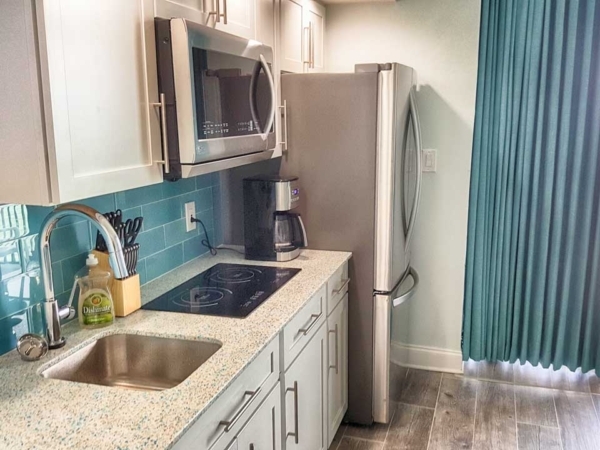 We have a stove and microwave for cooking and entertaining guests as with LCD TV’s to watch your favorite show. Beach Cove is the perfect location and is close to everything. 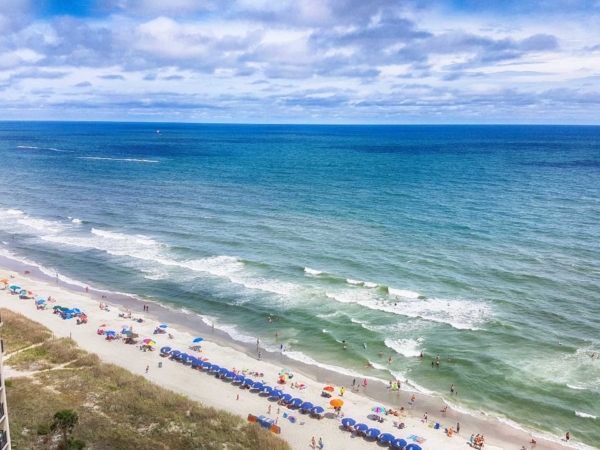 It is right at the southernmost tip of North Myrtle Beach so you can enjoy both central Myrtle and North myrtle activities that are just a quick drive away. 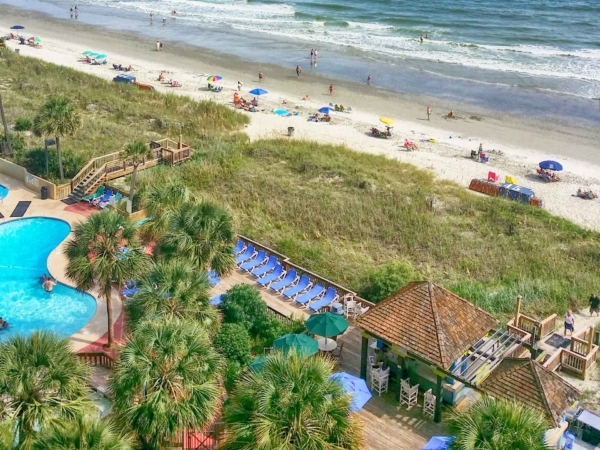 Enjoy incredible views from the top floor of beach cove resort! This condo has incredible views! Located on the 16th floor, you can enjoy beachfront views from both the 16th floor balcony as well as the living area. Enjoy the outdoor heated pools(even in the off season), lazy river, game room, shuffle board, piano bars and a cold cocktail at the outdoor Tiki Bar. There is tons to do here onsite!